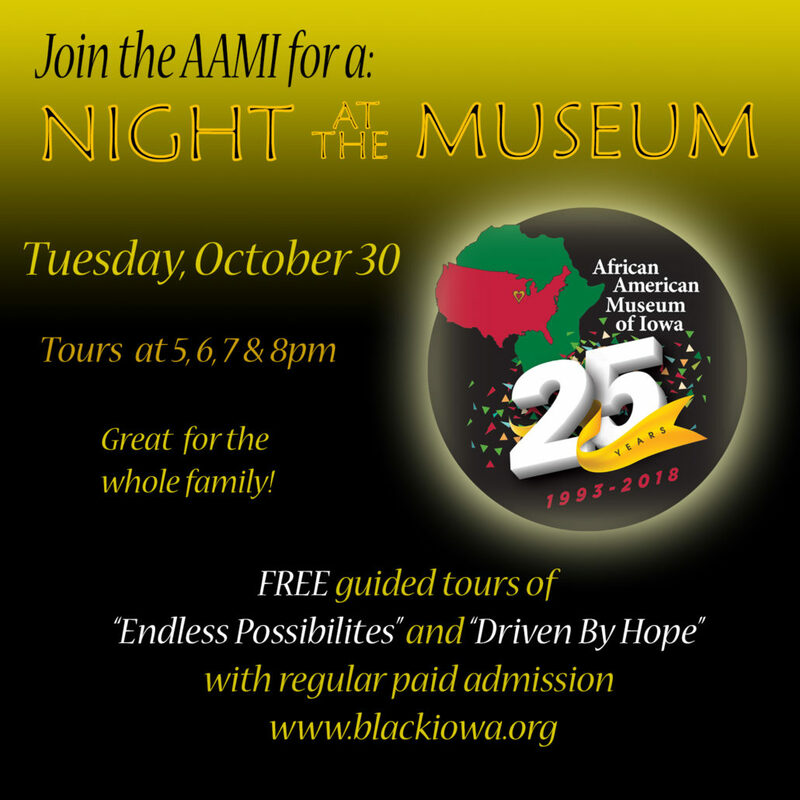 Free guided tours of the AAMI’s exhibits, “Driven By Hope” and “Endless Possibilities” with regular paid admission! Tours begin on the hour, starting at 5pm, 6pm, 7pm, and 8pm. Regular admission is $5 for adults, $4 for seniors, and $2.50 for students. Children 5 and under and Museum Members are free!